Bring your designer ! 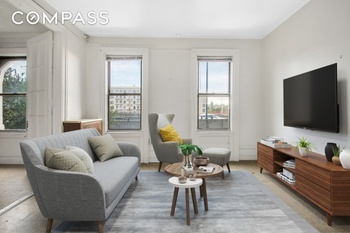 This 2 bedroom convertible 3 bedroom Coop is the perfect opportunity to customize your New York City living experience. Bring your designer! This 2 bedroom/convertible 3 bedroom Coop is the perfect opportunity to customize your New York City living experience. With views of the GWB and 820 square feet, the possibilities are endless. This is a pre-war building with a laundry room and an elevator. Pets are allowed and there is a live-in superintendent. The location is perfect! It is right off of the A Train stops at both 181st St. and 175th St. and is a stone's throw away from the new George Washington Bridge bus terminal marketplace. This rare opportunity cannot be beat!